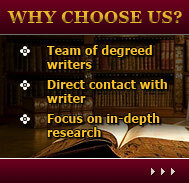 Buy Custom Dissertations/Theses 24/7. Reasonable Prices. NO Hidden Charges. Guess enough of wonders so far. PhDWorks.org is excited to stop your worries and take care of all of your concerns. When you purchase a custom dissertation with our writing service, you can stop wondering what you are actually paying for, since everything is as clear as it can be. Do you still hesitate whether our prices are the most reasonable on the web and whether they correspond to the quality we deliver? New and returned customers at PhDWorks.org are our pride and we work hard to have you as our customer. We have special discount programs, flexible pricing policy. Purchase a dissertation here and spend your FREE time free time the way you want. Guess enough of words. Check out the pricing below.